iLoveDoorCounty.com offers Real Estate Drone Video and Photography. 1. Drone photography & Video Still Has a Novelty Factor and Buyer's love to watch! There is a “Wow factor" to drone videos and I don’t think that’s going away anytime soon. Since home buying is a largely emotional decision, novelty sells. 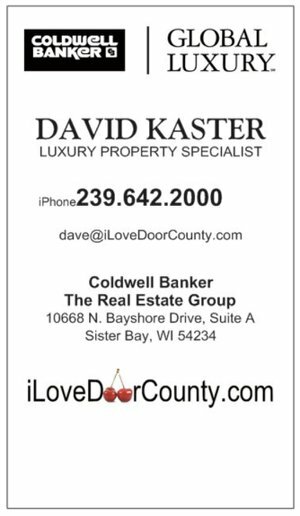 iLoveDoorCounty.com uses Aerial photography and video to market our property listings. 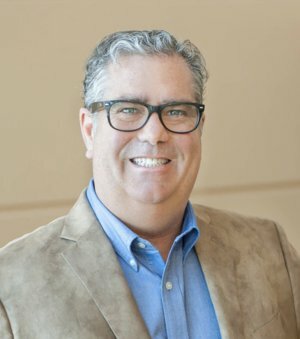 "I have leveraged the novelty factor of drone video to sell a property sight-unseen"
"After seeing my listing on iLoveDoorCounty.com the customer made an offer before actually visiting the property"
If there is one universal truth about home buyers, it’s that they are terrible at visualizing space. Most listing photography does little to help. 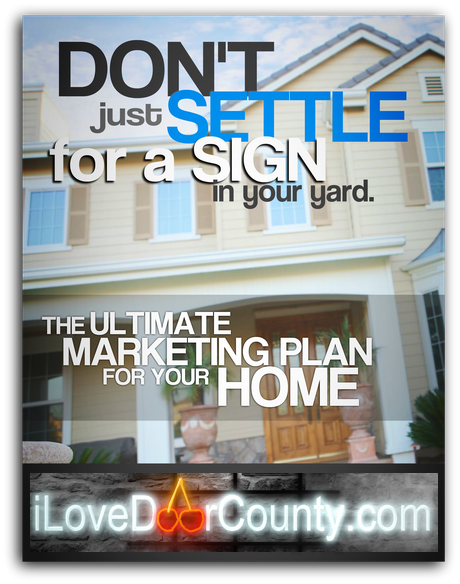 For example, say your listing has a huge 3 acre backyard, but 75% of it is obscured by trees. The typical photo of your listing makes it look tiny. With a drone shot, I can capture the entire yard in one picture to show them just how big a space it really is. Note how the house and outdoor space look radically different from almost every angle. Home hunters share listing photos with friends and family all the time. They may tell you they’re asking for a second opinion, but a lot of the time they’re just sharing something pretty. One of my buyer clients, posted dozens of listing pictures on her facebook feed when she was hunting for a house. If any of those listings had well-shot drone videos I guarantee she would have posted every single one of them. Social media marketing matters and what better way than to give people something they love to share. I use drone videos as just one of the ways I market my listings! 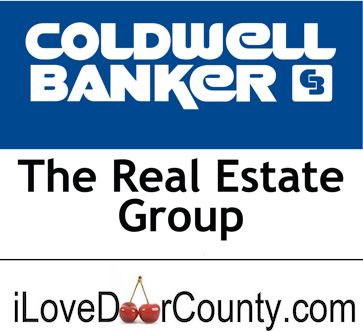 Can you imagine showing Door County buyers the gorgeous aerial footage of your house and in my office and Online? 5. 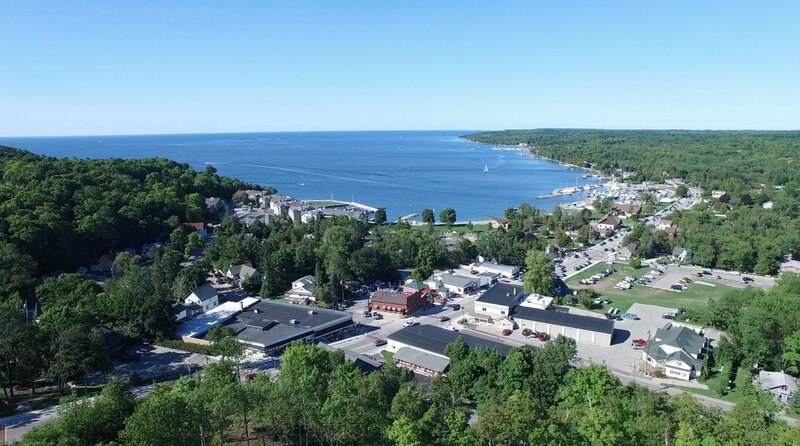 Real Estate Drones allow me to Capture the Entire Neighborhood and the beauty of Door County! Is there a beautiful little park or nice beach close to your property? Again, most home buyers are terrible about estimating space or distances. How long does it take to walk 1000 feet? With drone photography instead of telling them you can show them. Here’s a great example of using a drone to show distance. Look at how large that open field is compared to the house and how close the waterfront is. You would need to shoot 10 normal pictures to get the same effect. Did you just spend $20,000 on a new roof? With aerial photography, you can show off that expensive work and put potential buyers at ease. While real estate drone photography is indeed great for marketing houses, the real benefit is in land sales. Instead of a blurry google map or illustration, I can show clients what the property looks like today. Is your agent using drones for aerial photography and video? Legally? IMPORTANT NOTICE: The FAA’s final rule for small, unmanned aircraft went into effect on August 29, 2016. It provides specific safety regulations for non-recreational use of unmanned aircraft weighing less than 55 pounds. 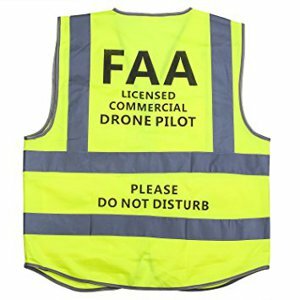 That means UAS users who want to fly for commercial use (such as providing aerial surveying or photography services) or fly incidental to a business (such as performing roof inspections or real estate photography) must follow these regulations and must be licensed by the FAA. 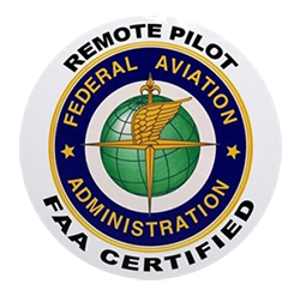 David Kaster is a FAA Certified Remote Drone Pilot in Door County, Wisconsin.